Yug Pathak, the son of retired director general of police and former Pune police commissioner KK Pathak, was arrested yesterday. Mumbai: A court in Mumbai today remanded Yug Pathak, the son of a retired IPS officer and one of the owners of the Mojo's Bistro pub, to a five-day police custody in connection with the deadly fire at the Kamala Mills compound here on December 29, which had claimed 14 lives. 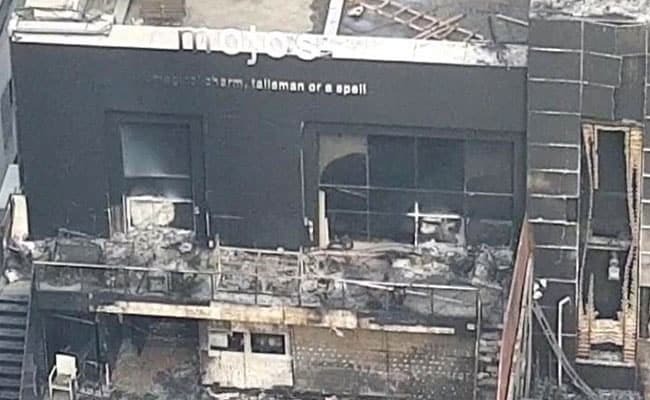 On Friday, the Mumbai Fire Brigade, in its preliminary probe report on the fire, which had engulfed Mojo's Bistro and the adjacent 1 Above pub at the Kamala Mills compound in Lower Parel on December 29, had said the blaze possibly started at Mojo's Bistro due to the flying embers of a hookah. Yug Pathak was produced at the Bhoiwada court in Dadar, which remanded him to police custody till January 12, a senior police official said. "We sought his custody for further probe into the fire incident and to find out whether all the safety precautions and norms were followed by the pub," he added. The police had yesterday booked Yug Pathak and his partner, Nagpur-based businessman Yug Tulli, under IPC sections 304 (culpable homicide not amounting to murder), 338 (causing grievous hurt by act endangering life and personal safety of others) and other relevant provisions. The police had recorded Yug Pathak's statement in the case earlier. The names of Yug Pathak and Yug Tulli were added to the FIR, which was lodged on December 29 against the owners of 1 Above -- Kripesh Sanghvi, Jignesh Sanghvi and Abhijeet Mankar. Earlier, the police had arrested two managers of 1 Above in connection with the fire. The police have also announced a reward of Rs one lakh for any information about the three pub owners, who are on the run.